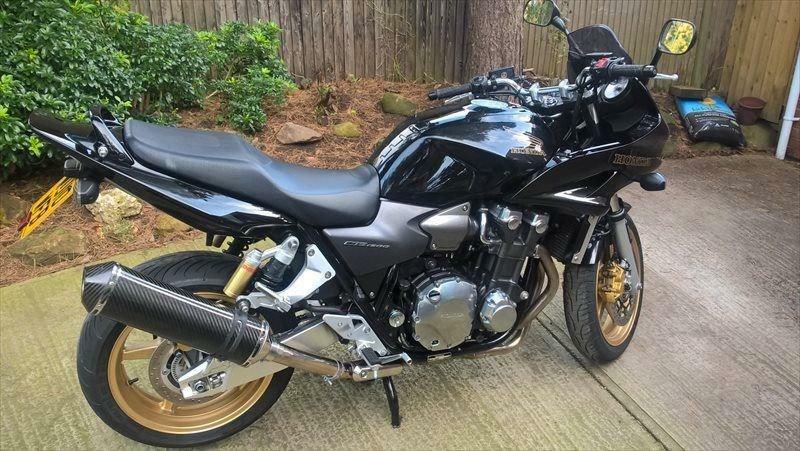 Honda's CB1300S is a slightly more practical take on big bruiser nakeds like the Yamaha XJR1300 and Suzuki GSX1400. With an upepr fairing the CB1300S is transformed into a comfortable and practical bike ideal for touring, commuting and weekend blasts. This 2010 model has covered under 9000 miles and comes complete with Scorpion exhaust (and the original), tail tidy, Michelin PR4 tyres, ABS, and centre stand. A good value prospect for touring or commuting.